If you love to collect patterns (like some of us sewing nerds), be sure to sign up for the Vogue/McCall’s/Butterick email newsletter. Then you can feed your addiction and be the first on your block to know about online pattern sales – like the one starting TODAY! 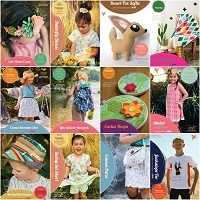 All current Vogue patterns are only $3.88, and McCall’s and Butterick are $2.88 – today thru Saturday. Previous sales like this are precisely why I had to develop a pattern storage system, people – I couldn’t stop myself! Vogue, McCall’s, and Butterick are all owned by the same company, so signing up for one newsletter really gets you the scoop on all three. Just what an addict needs…..more sewing stuff! Do you love scallops? Hate them? Feel mostly indifferent towards them? Ever used them? I have not used this edging on any of my clothing, though I have used them on clothing for my daughters when they were younger. I am thinking they might be a nice vintage, girly touch to something in my closet, too. And they look so summery and fresh! What are your thoughts?Happy sewing! I love skirts. Full skirts, pencil skirts, pleated skirts. I feel all girly and cute when I wear them, even sans makeup and jewelry. For me, they are as cool and comfortable as wearing shorts in the summer, and a bit more polished and, well, girly! I am short on skirts right now, so I decided to correct that wardrobe problem with a few new additions. I have a stretch denim, traditional jeans skirt that I wear often, but I don’t love the lycra. 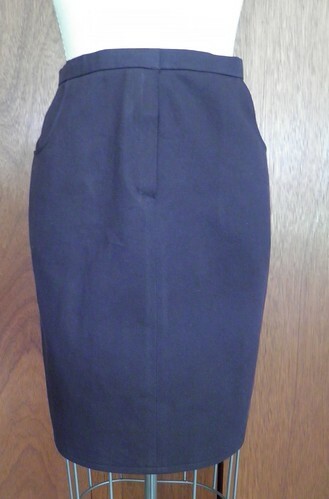 So goal number one was to emulate the indigo denim jeans skirt in a non-stretch fabric. I bought some black “bull” denim, Butterick pattern 5649, and set to work on creating view C from the pattern. I made a quick muslin to check the fit on the hip curve. I have a “high hip” – which basically means I go from a nice little curvy indentation at my waist to nearly my full hip circumference in the space of a couple of inches. Sweet. No matter what weight I have been, this body feature has plagued me. It’s all about bones, so no use whining – I just always need to fit my garments correctly in this area so that they look and feel right on my shape. Done! After I transferred to changes to the flat pattern, I cut out The Bull. Boy, that fabric is HEAVY. No need for underlining or a slip with this baby. 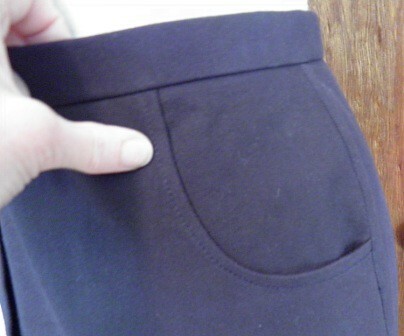 I also shortened the pockets (mostly because I skimped on the fabric purchase), but that was about it. This skirt went together in a breeze. Stitched up the fronts, inserted the fly zipper, and added pockets. Topstitched the pocket edge with a triple stitch. Done. Sewed a couple of darts in the back, stitched the center back seam, and attached front to back at sides. Added waistband using the AWESOME Judy Barlup technique with waistband stabilizer instead of interfacing. Fast, easy, and oh-so-RTW! Serged hem edge, turned once and topstitched. (This fabric is so heavy I thought a double turn on the hem would be too bulky, plus I wanted every half inch of length. Remember the fabric skimping above?) Apply hook and eyes (OK – this step is not done yet). This skirt fits me perfectly, is easy laundering care, and will go with my vast collection of black print tee shirts. Add sandals for summer, or tights and a sweater for winter. A wardrobe workhorse! I am thinking of adding some interesting belt loops and possibly a little subtle stenciling to increase the cute factor…..what do you think? Leave it plain and simple or spruce it up a bit? Next up: view A in the same pattern in a lighter weight black twill. I love to take sewing classes! This week I am going to attend a workshop taught by Kennth King on the process of making a “moulage”. I have used the instructions in his CD twice now, and made a moulage for 2 different people…pretty successfully. But I can’t pass up the chance to take a class on this process from Kenneth and learn all the little tips and tricks that somehow never come thru in written instructions. If you are not familiar with Kenneth, you can check out his web site to see some of his design and learn more about his approach to sewing. I have taken one other workshop from him, and found him to be both an entertaining and informative teacher. I ordered quite a few of his CD “books” on various subjects some time back, including the Moulage process, and have used quite a few of them in creating and altering patterns. I also love his Cool Couture book – full of lots of beautiful techniques. There was a post on the Burda Style blog marking today as the day the sewing machine was invented. Hmmm. I am not sure how accurate this date is. The patent process and the the definition of “sewing machine” is a little more complicated than positing that said machine was “invented” on a single day, but what the heck. I am splitting hairs here. I want to celebrate sewing machines, and I guess a somebody had to declare some day as “the day”, so let’s be happy today that we have sewing machines. 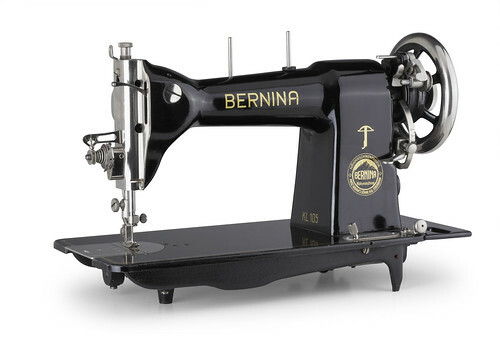 The background story on the Burda article is really more about the evolution of the Bernina sewing machine company. This is something which is definitely near and dear to my heart, as I am a dedicated Bernina snob (full disclosure – I own 5 Bernina machines). My original 830 is 36 years young, and going strong. I can’t even count all the garments, box cushions, mending, and more I have made on this little gal. I also have a newer machine, a Bernina 1260, which has a fantastic automatic buttonholer, more embroidery stitchhes, and a very handy “needle down” function. I also have a Bernina 2000 DE serger, and a 2000 DCE coverstitch serger. I will be picking up my late mother’s Bernina 830 from my brother later this week, rounding out my Bernina collection to 5. I also own a Singer Featherweight, which is a great little machine, but it is currently residing in Brooklyn with my DD. Whatever machine you own or aspire to own, give thanks today that Elias Howe, Isaac Singer, Karl Friedrich Gegauf, and other early pioneers persevered so that we can enjoy the benefits of modern sewing machines today. Yay! Walmart drives our fashion purchases? This is a VERY interesting article about the changes in our fashion industry and purchasing trends. 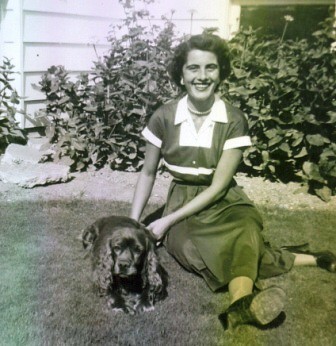 It reminds me of my mother (above), her great sense of style, and her purchasing habits. She owned very few clothes, made almost everything she and I wore, and bought only the best quality fabric. Thanks Mom, another good lesson you taught me! Summer is finally in full swing here in the Pacific Northwest, and that always mean less time at the sewing machine for me, and more time in the garden. Can you see the eensiest little asparagus stalk above? I know it takes a magnifying glass to see it, but I am super excited that the asparagus crowns I planted a few weeks back are beginning to grow. No yields until next year, and even then they will be minimal, but still! 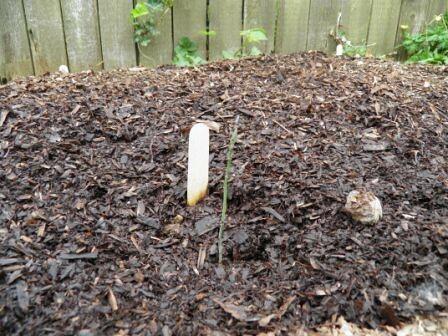 Asparagus in our backyard – how cool is that?? I think I am going to dub this week the “week of finishing up”. I have a couple of alteration jobs to wrap up, the little dresses for Africa charity sewing, a blouse that only needs the buttons and buttonholes, that bustier I thought was a good project idea….you get the idea. Today is your day to learn something new. Step up your sewing game. Stop putting that zipper in the way your mother taught you. Finally lerarn how to make bound buttonholes. Adjust a pattern to achieve the look you want. Buy a technique DVD (or borrow from library). 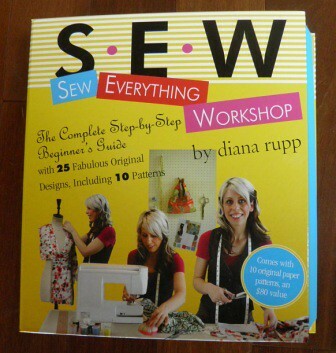 Participate in a sewing challenge or contest. Take a class – maybe in another city! Join ASG and attend a neighborhood group meeting regularly. 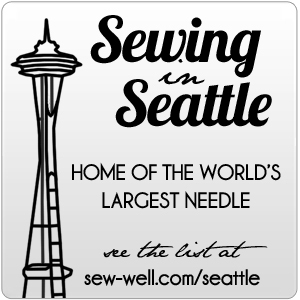 Follow a new sewing blog or style site. Challenge yourself to learn something new on every garment you make for the next month. You’ll be glad you did. Dresses and other garments cut on the bias grain were originally introduced in the late 1920s by Couturier Madeleine Vionnet. The elegant effect of bias-cut gowns were shortly very popular in Hollywood, and young starlets often wore these clinging, revealing dresses both onstage and off. With the resurgence of interest in vintage fashions, bias cut garments are still very popular today. George Trippon was a Hollywood studio designer of women’s clothing both before and after WWII. 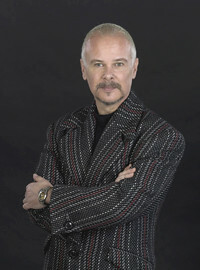 He started a design school and also created a TV show titled Sew What’s New that aired for about 20 years. Some of those old TV episodes can be found now on YouTube, and they are LOL funny. 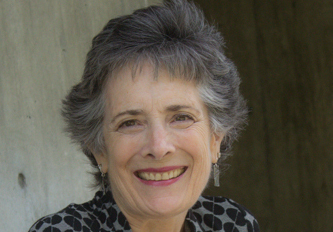 I love this one about bias – check it out!